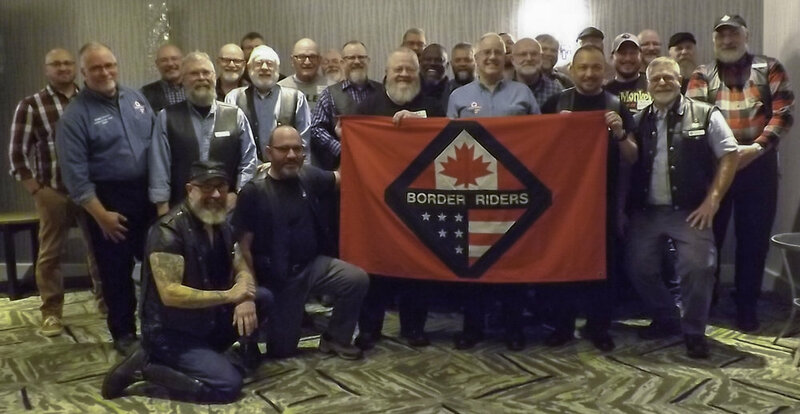 Each year BRMC recognizes the achievements of our members and looks ahead to the new riding season. This year the banquet was held at the Holiday Inn Downtown Vancouver, in Vancouver, BC. Our thanks go out to Peter L who organized the event and selected a great host location. Members and guests arrived early for a social time beginning at 5:00. We had a small group of 27 with some arriving the day before to take in the sights of Vancouver and others arriving just in time for dinner. Border traffic was back up with long delays and it took at least one member several hours to make it across the border. At 7:00 President Jeff C welcomed the group followed by singing of the Canadian and United States national anthems. Canada, always being politically correct, decided to change the words to their anthem on February 7th and we had the old version. Dinner was then served buffet style with the delicious food being devoured by everyone. Following dinner, President Jeff C thanked Peter L for organizing the banquet and then presented the awards and recognitions. We did not have any new members this year. The high mileage award went to Alan H. The high mileage award is presented to the member that rides the most miles between Saturday evening of Victoria Day Campout and Saturday evening of the September run. 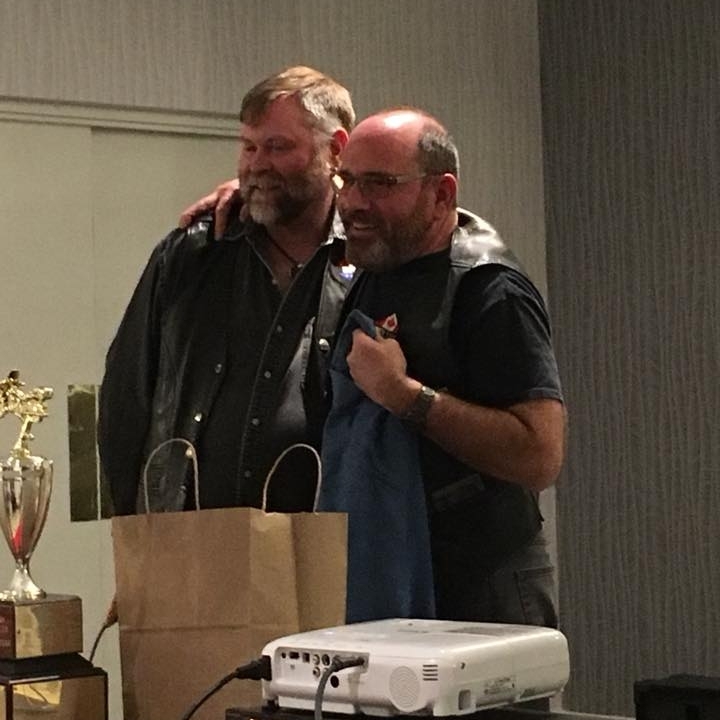 Alan was not present to receive the award but it was accepted on his behalf by Stan C.
The Rider of the year award was presented to Dennis H. The rider of the year award is presented to a member that the officers feel went above and beyond the normal level of involvement with the club during the past year. The award was presented to Dennis H for his taking on 3 of the 4 meal captain jobs at Victoria Day as well as always being there to help when needed. Following the presentation of the awards, the 2017 video was premiered. The video was produced by Dave Jackson and showed the year in review. Everyone thought Dave did a great job! The evening was concluded with desserts being served and a bit more social time before everyone wandered off to various destinations: some headed home, some to their rooms at the hotel and a group went out to PumpJack. How can we be into March already? The Anniversary Banquet is now behind us and Victoria Day Camping Weekend will be soon upon us. The Anniversary Banquet was a hit. The Holiday Inn Downtown Vancouver was great to work with. They were gracious and upgraded us to the ballroom from the smaller room we were scheduled to be in. By being in the ball room we were able to have the no-host bar and the buffet line set up in the room. I allowed us to have a much more private affair. The food was excellent! It was an honor to present the membership bars at the banquet this year. I can't believe that I have been a member for five years already. And to think that we have members that have been part of the club for 20 and 25 years is mind boggling. The weather so far this year has not been very conducive to riding. I am looking forward drier and warmer weather to start riding again. I was hoping to ride for more of the winter but I haven't been on the bike since the end of November. Mark has reserved some great run locations for this summer and Dennis will do a great job making sure that we have a fun time on each run. I am really looking forward to our 2018 riding season! The days are getting longer and everyone is looking forward to another great riding season. For those that were at the banquet in Vancouver it was a stark reminder coming out of PumpJack to snow that Punxsutawney Phil was correct and we have 6 more weeks of winter. In contrast, a few years ago a large group from Seattle did Skate Creek Road and Packwood in mid-February which is unheard of. So, for those that haven’t been riding a few more weeks to get the bikes ready; for those that have been an opportunity to get the thick winter grunge off their bikes. I want to encourage everyone to take an opportunity to thank Mark for all his effort as Road Captain for the last several years. Just like riding he provided steering, speed control and communication for making the runs and events successful. I’m sure Leo will appreciate having some of Mark’s time back. He has set the bar pretty high and I will do my best to do the same with your help. 1. In preparing information for voting at VD for the 2019 season if anyone has any special requests or suggestions for campsites I’d appreciate them. In the voluminous stuff that Mark passed on to me there is a listing of various people’s favorites, but if there are new ones to add or you’d just like to retag a previous request it would be helpful. 2. Road Captain Buddy – take a look at the upcoming season and if you’re close to one of the locations and can help with arrangements for dinner locations etc. it would be very helpful. The internet is a great tool for research, but doesn’t equate to information from someone that’s been there or scouted it out. I’m looking forward to the upcoming season with everyone. Hopefully it may be riding weather for next month’s meeting at John’s as parking on the hill is pretty limited. Just a quick note to thank you all for trusting me to handle the club's affairs. If anyone has any questions, comment or ideas regarding the club finances please feel welcome to contact me. 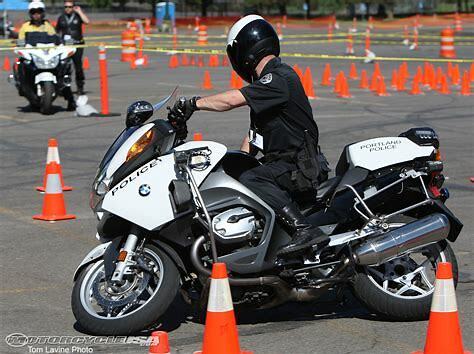 On another subject, I am putting together another motorcycle skills enhancement class. I am not sure if it will be in Oregon or Washington yet. I'm waiting to see where the interest is and then I will see if I can find an organization that will work with us. As a reminder, I periodically try book a motorcycle skills enhancement class and close it for the club and our friends exclusively. I have done it twice now with Team Oregon and I think it has gone very well. I am planning to do this in the spring. The cost is normally a little more than $100 for the day. I will also try schedule an advanced class for the fall. This advanced class is like what the police do so they can compete on those obstacle course we wish we could try. This event is NOT sanctioned by the club so hit me up for additional information. Our March meeting is hosted by John D at his home in Seattle. It will be on March 17th starting with social time at 5:00, the club meeting at 6:00 followed by dinner. We will be discussing recommendations from the 50th Anniversary Committee as well as beginning initial planning for Victoria Day. As always, guests are welcomed to attend but should have a sponsor. Registration will close at 9:00 pm on Wednesday, March 14th. The dinner will cost be $15 and is payable via the website. Those that registered for the Anniversary Banquet may have noticed that they could pay either directly with their credit/debit card or could select to pay via PayPal. The club is discontinuing the use of PayPal to process payments for club events. The use of PayPal on the new website requires having a PayPal account. The option of paying with a credit card without a PayPal account doesn't exist. We know that several of our members do not have PayPal accounts and this would force them to have one. Instead we have moved to Stripe to process our payments. Since the new website is oriented like an online store, when you pay for an event you are actually "purchasing" that item from the club. Stripe is more of a credit card processing company and designed to fit better with the new website. Please be careful when registering/paying for a club event and be sure to check the "Cart" before paying so that you don't accidently pay for more than one item. If you do have problems paying please contact either the treasurer or president. We have 5 members with a birthdays this month. Please take a moment to wish them a great day.